Mueller probe target Jerome Corsi is accusing special counsel Robert Mueller and his prosecutors of trying to force him to give “false testimony” against President Donald Trump and Roger Stone. Corsi leveled the allegations in a complaint filed with the Justice Department on Monday. The right-wing author claims Mueller’s team wants him to falsely claim he was a link between WikiLeaks and the Trump campaign. Conservative author Jerome Corsi filed a criminal and ethics complaint against special counsel Robert Mueller on Monday, accusing prosecutors of trying to force him into giving “false testimony” against President Donald Trump and GOP operative Roger Stone. “Dr. Corsi has been threatened with immediate indictment by Mueller’s prosecutorial staff unless he testifies falsely against Roger Stone and/or President Donald Trump and his presidential campaign, among other false testimony,” Corsi’s lawyers, Larry Klayman and David Gray, asserted in a complaint submitted to Acting Attorney General Matthew Whitaker and others in the Justice Department. At the center of the plea offer are three emails Corsi and Stone exchanged in late July and early August 2016. “Word is friend in embassy plans 2 more dumps. One shortly after I’m back. 2nd in Oct. Impact planned to be very damaging,” Corsi wrote in an Aug. 2, 2016 email to Stone, referring to Assange. In his first meeting with prosecutors on Sept. 6, Corsi denied he had any communications regarding WikiLeaks’ plans to release information on the Clinton campaign. Corsi asserts Mueller’s team informed him in that interview they had evidence undercutting his claim. But he says prosecutors allowed him to amend his testimony after allowing him to review his emails. Corsi argues in his complaint that he was tricked by prosecutors. “In sum, the Special Counsel seeks to prosecute statements that were amended,” Corsi’s lawyers write. Corsi claims prosecutors want him to testify that he was a conduit between Stone and WikiLeaks. But Corsi denies he was, saying that he has never met WikiLeaks founder Julian Assange or any associates of WikiLeaks. The 72-year-old Corsi claims his email to Stone was based on a theory he came up with on his own in August 2016 that WikiLeaks was set to release Clinton campaign chairman John Podesta’s emails in October. He says Mueller’s team does not believe his statement, and are insisting that he must have had a source close to WikiLeaks. Corsi did testify to Mueller’s grand jury on Sept. 21 that he told Stone of his theory on WikiLeaks and the Podesta documents. But Stone has denied Corsi’s charge, saying he and Corsi did not discuss WikiLeaks having information on Podesta. 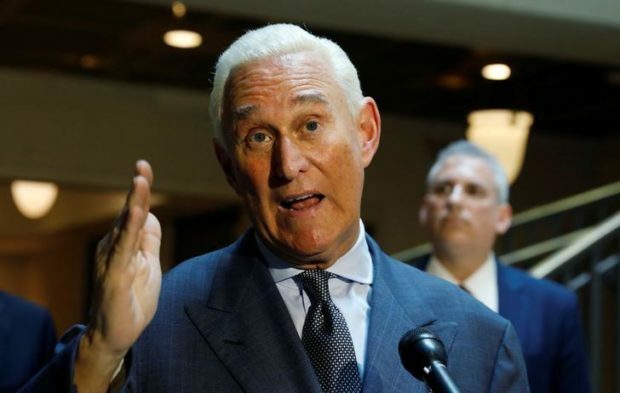 Stone previously told The Daily Caller News Foundation he did not interpret Corsi’s Aug. 2, 2016, email as saying that WikiLeaks had Podesta’s emails. Corsi also claims Mueller’s team withheld exculpatory evidence from the grand jury hearing the case. Corsi sent two tweets in the days before the WikiLeaks dump that he claims shows he did not have direct insight into WikiLeaks’ plans. Corsi told TheDCNF on Friday that Mueller’s team did not cite the text messages in his 40-plus hours of interviews or two grand jury appearances.